Adventures in Horse Shopping: How did we do? Remember that ISO ad that traveled the interwebs? Well now that I am 7 weeks into owning the Barbie Dream Horse, let’s see how he compares to the initial requests in my unicorn hunt. Adult amateur seeks fancypants unicorn in ultimate champagne on a beer budget scenario. In budget? Check. Bonus: Champagne colored. 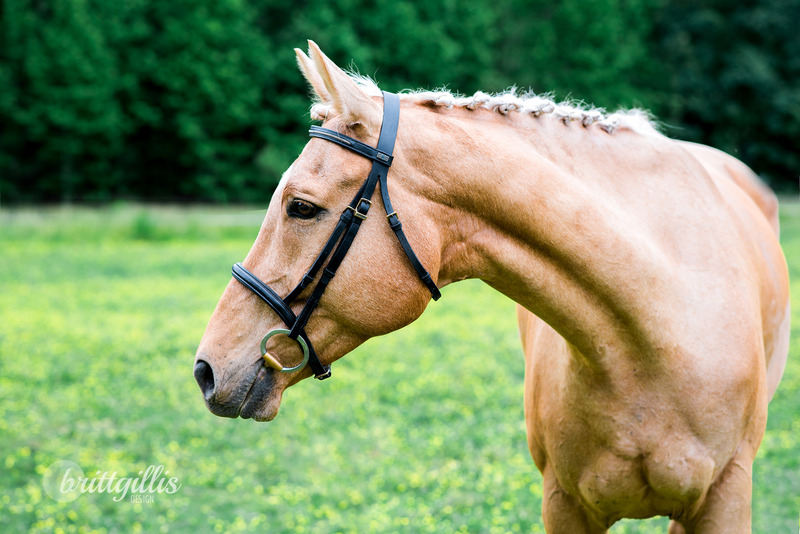 Prefer warmblood or warmblood X gelding, at least 15.3 hands tall and between the ages of 3 and 9. Check. 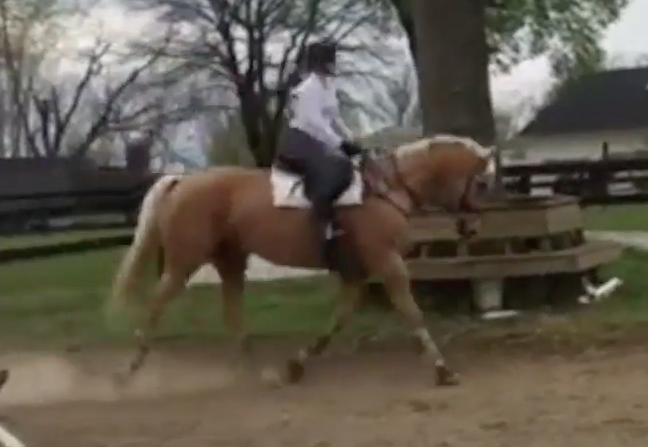 9 yr old German Warmblood sticking at 16.3h. A bit bigger than I need but beggars can’t be choosers. 16.3h, most of which is shoulder. Must have great brain, preferably canine-like personality and cuddly tendencies. A forgiving nature, for those amateur moments, is an absolute requirement. Need not be able to memorize show jumping tracks, but being able to count jumps would be helpful to this occasionally ditzy eventing DQ. Great brain- got it, despite his tendency to notice everything. Personality-wise, he’s still blossoming, but is a big fan of chewing on his lead rope (or sneakily eating the right rein when I’m not looking). Definitely a cuddler, and thank goodness he’s forgiving of my rusty jumping game. Suspension and athleticism important. And by suspension, I mean that of a Porsche or Audi, not a Model T.
Decent gaits- we has them. I don’t know cars that well (obviously)… maybe we’re like a new Volvo? Are those nice? Whatever, I drive a Kia. 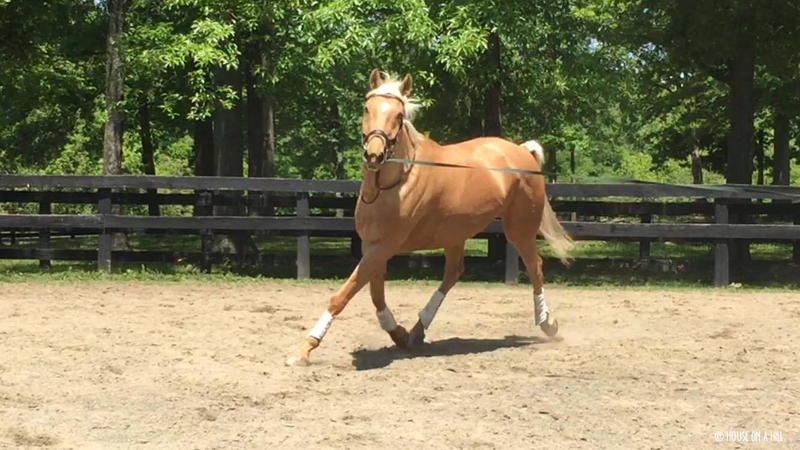 Prospective owner seeks to be competitive in the dressage court up to 3rd level and in the eventing irons, that is, if she can remember her courses. Proven jumping ability preferred, but willing to survive training a green but willing jumper as well. Horse can definitely jump, and probably fits the green-but-willing-jumper description. 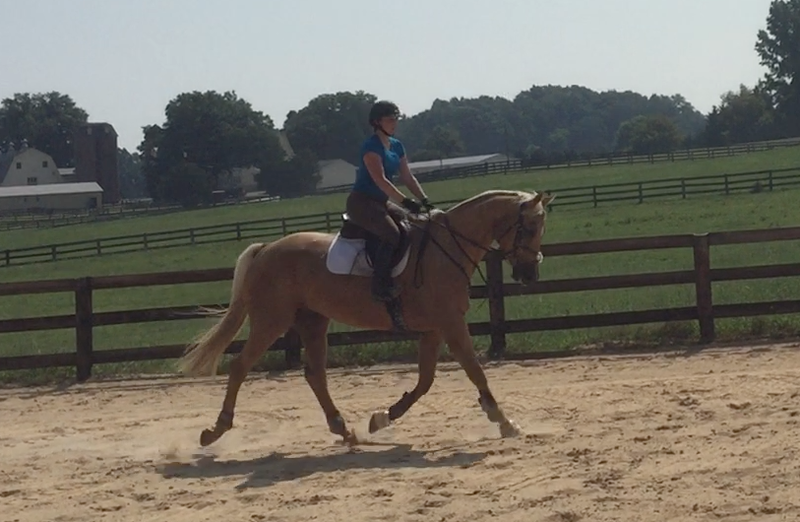 We’re going to be working on learning how to canter fences and not trot/gallop them. And that’s OK. 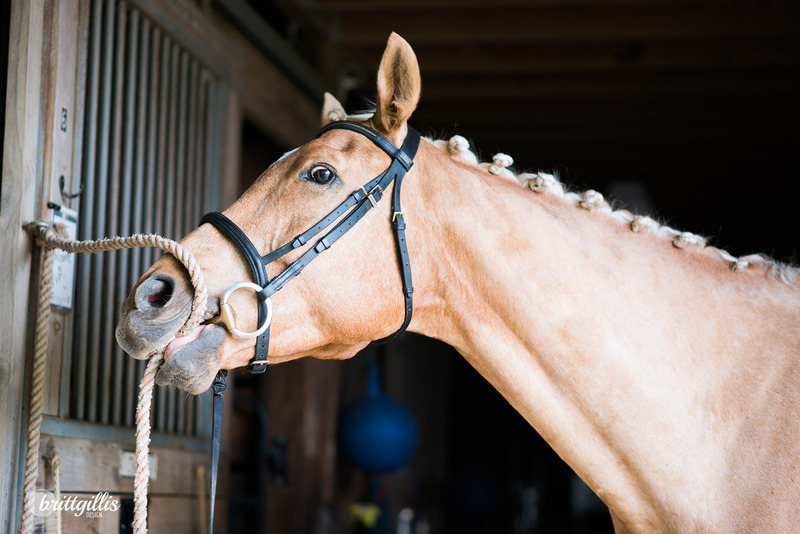 Horse will receive almost daily attention from prospective owner, be taught ridiculous tricks like smiling and bowing, and in general be spoiled rotten. 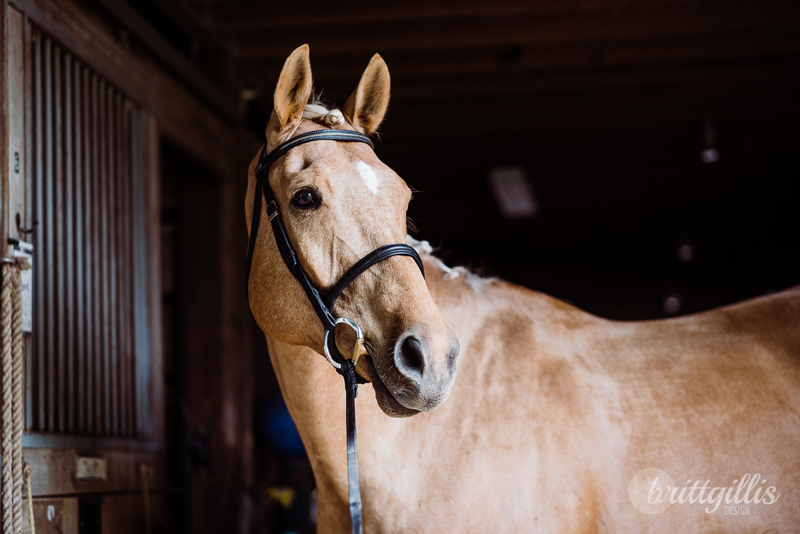 As such, the horse must in turn tolerate copious amounts of picture taking, both as the subject of his new owner’s photography experiments, but also on a routine basis for the purpose of bombarding the blogosphere and social media channels with their presence. 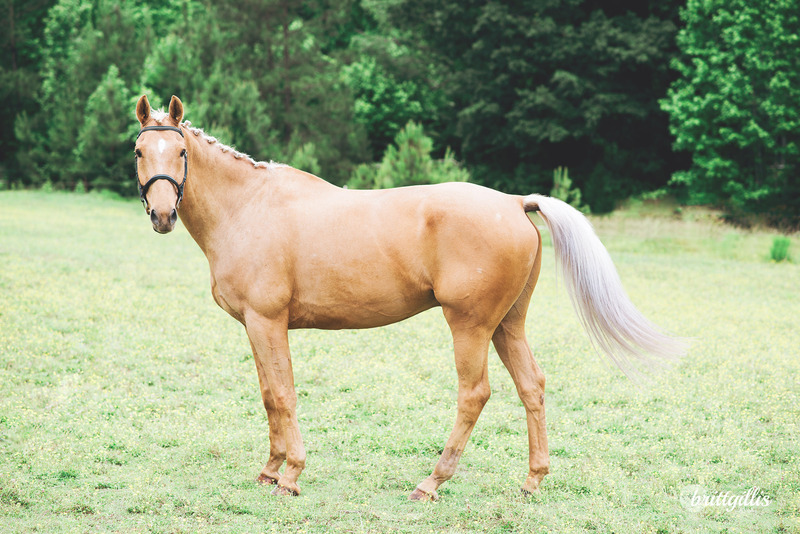 Welcome to the blogosphere, Jack, aka Jack-Jack, aka Barbie Dream Horse, aka Goldenboy, aka Blondie. Thanks for giving me new things to write about. And photograph. Side note- we are already working on smiling. Besides being sound of mind, horse must be sound of body. While this amateur owner has become efficient at wrapping, icing, hand walking, and bonding with vets, she would like to turn her attention to other hobbies. Like riding. Lemons need not apply, and you better believe there will be a pre-purchase exam. Besides a few unsightly blemishes and a need for more conditioning…. I’m going to knock on wood right now. 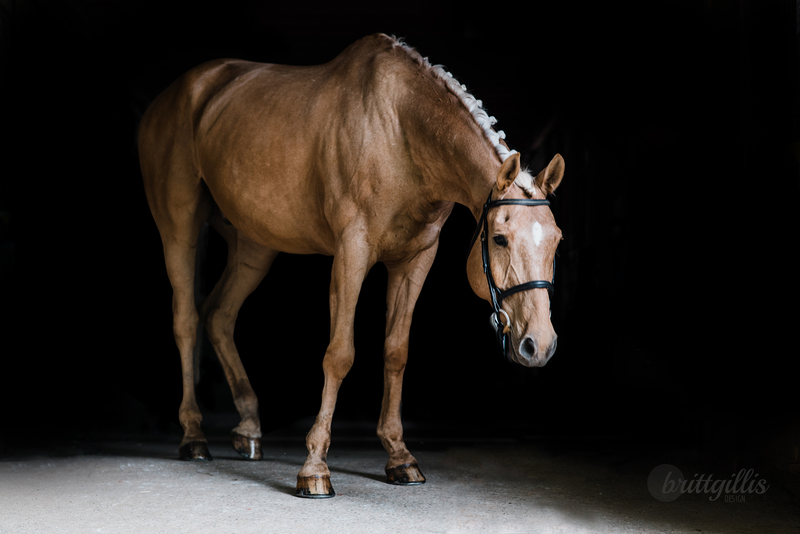 In return for meeting these lengthy and lofty requirements, any future horse will be held on a pedestal above all others, if not in the judges’ eyes, then in his owner’s. 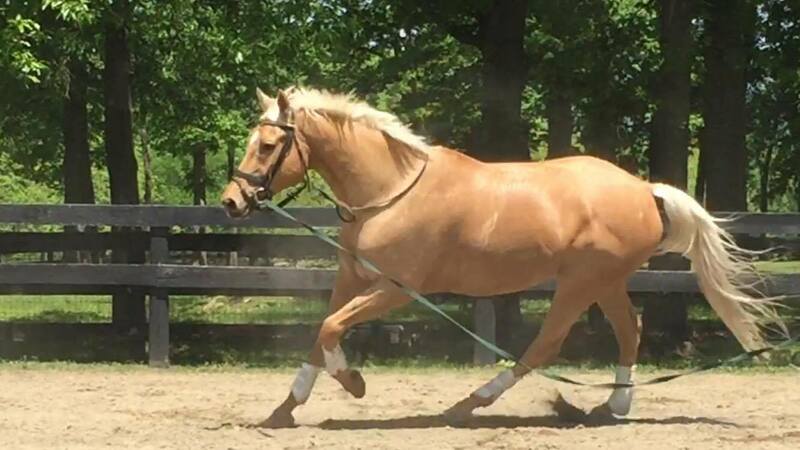 He will receive the best of care at a top-notch facility, have his legs and feeding regimen obsessed over at length, and be stuffed full of cookies at every horse show. Oh, let’s be serious—he’ll be stuffed full of cookies on the daily. And with all hope, he will be a lifelong partner. Yes, yes, and hopefully very much yes. 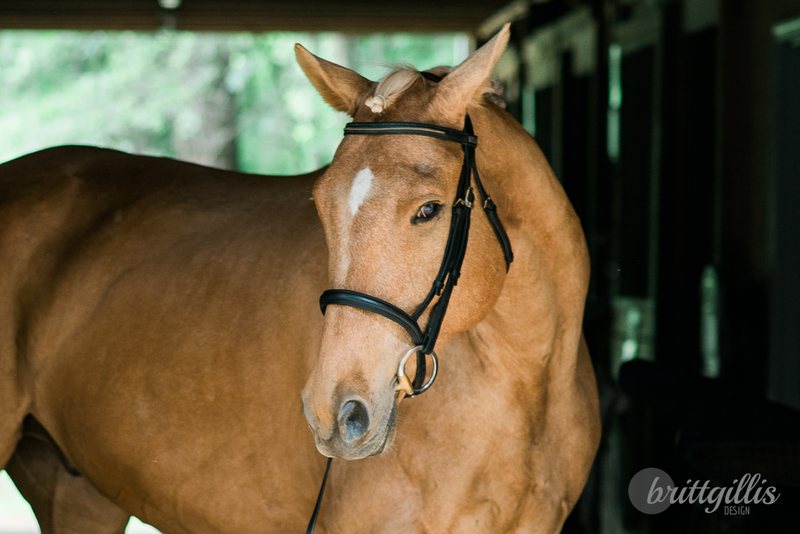 This weekend, Jack and I made our first ‘big’ outing together, heading all the way to the Carolina Horse Park to school the cross country course ahead of their War Horse Show. While we’ve been off property quite a bit at this point, we haven’t been anywhere that would have a show-like atmosphere. Schooling at the horse park allowed me to see how Jack would be in a place with lots of other horses [literally] running around, trailers, tents, flowers, etc. And I was so impressed! Jack is officially self-loading at this point, and hopped on the trailer for the 2 hour trek to the horse park. I loved that he actually was eating his hay on the way down, something he hasn’t done so far on shorter jaunts. Since we were running late we tacked up in a hurry and got out to the cross country field where we got straight to work, trotting around and hopping over a green-as-grass jump. Jack was super in listening to me and focusing on the tack at hand, but for the first several jumps (green-as-grass followed by Maiden questions alternately) he would give the fence a hard look before lift-off. There was never a thought of refusing, more just a lack of confidence that slowly disappeared as the schooling continued. Eventually we started introducing cantering the fences and wrapped up the cross country with a Beginner Novice fence that felt so great we did it twice! Since the horse under me after cross country had lots of gas left in the tank, we then moseyed over to the showjumping, where we walked the maiden course in the tack, then proceeded to do two schooling rounds. For the first we just trotted all the fences, knowing that Jack is more likely to look at showjumping filler than natural fences. Then we picked up the canter and did the course properly. To say I’m happy with how it went is an understatement, even though I see so many things that need fixing on my part. I now have the confidence in my new pony to go out and do all the things, knowing that he can handle the atmosphere as long as I am there to give him a positive ride. 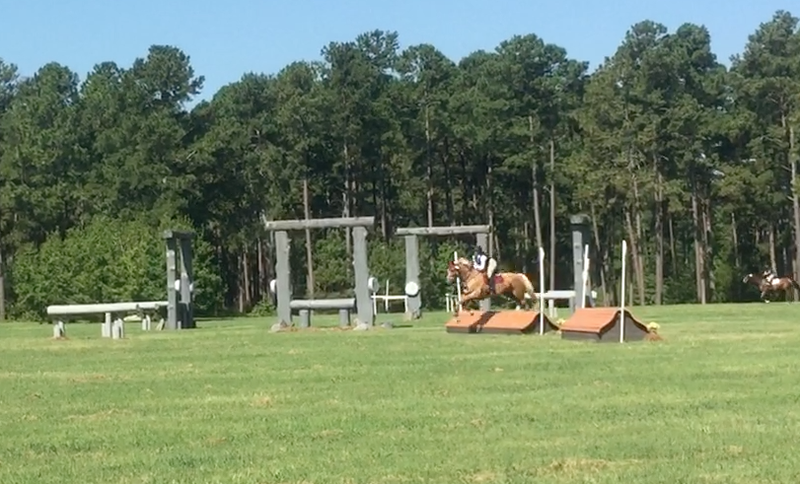 Next time we’ll be schooling beginner novice fences instead of maiden, and that vote of confidence from the trainer feels like a feather in the cap after feeling out of the game for so long. Barbie dream horse indeed! 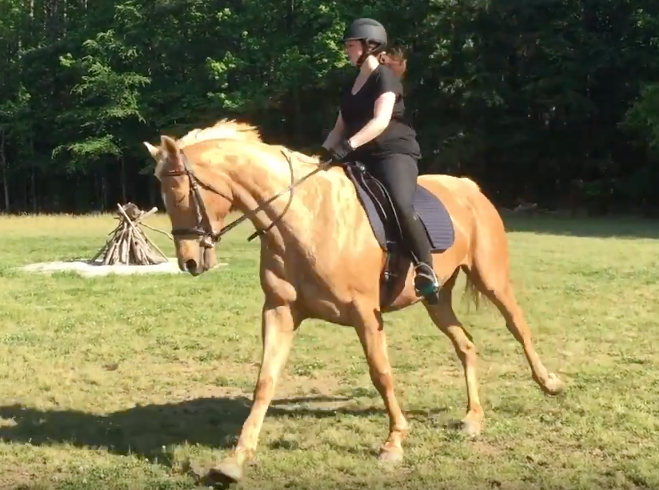 Now with two real jump lessons under our belt, I finally feel like I am starting to get the hang of jumping Jack- or at least starting to understand his rhythm and needs for making the best jump possible. Our first jump lesson was at home, where mostly we trotted into the fences and focused on my following hand and keeping him straight and cantering after the fence. I’ve left the lesson audio on, mostly for my own benefit at a later date, so please ignore (or enjoy, whatever) my getting yelled at in the following videos. Straightness in particular was also the name of the game in yesterday’s lesson as well. This was a new arena to Jack, with different types of fences and some exercises we hadn’t done before. 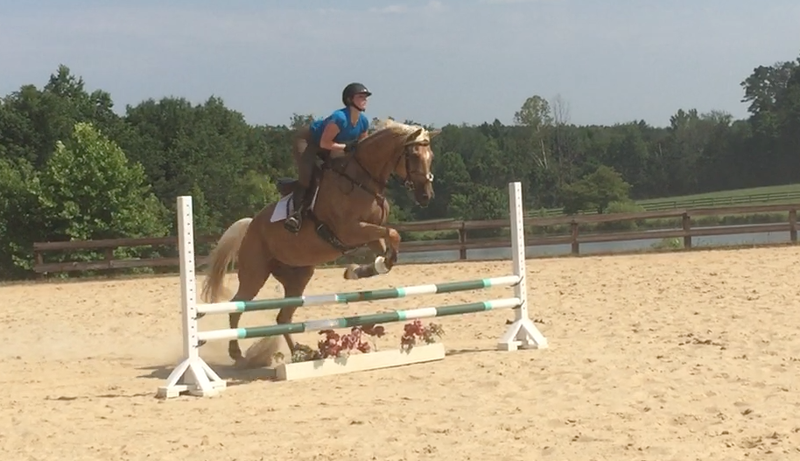 While the jumps stayed small, we focused on the quality of the canter and keeping him put together before the fence. I really have to ride every step to accomplish this, keeping soft but communicating hands and half halts to remind him that rushing is not an option. Not that he’s to blame- the poor guy has mostly trotted or galloped fences most of his life- why should things change now? Even though the jumps were tiny (and look even smaller on video compared to my giant horse), I was grinning (between pants) from ear to ear after the ride. New arena, galloping horses, and I had a fairly rideable experience and felt like I really connected with the giant blondie underneath me. Takeaways being keeping him especially straight and between my leg and hand before the fence, and riding more straight canter lines in general. 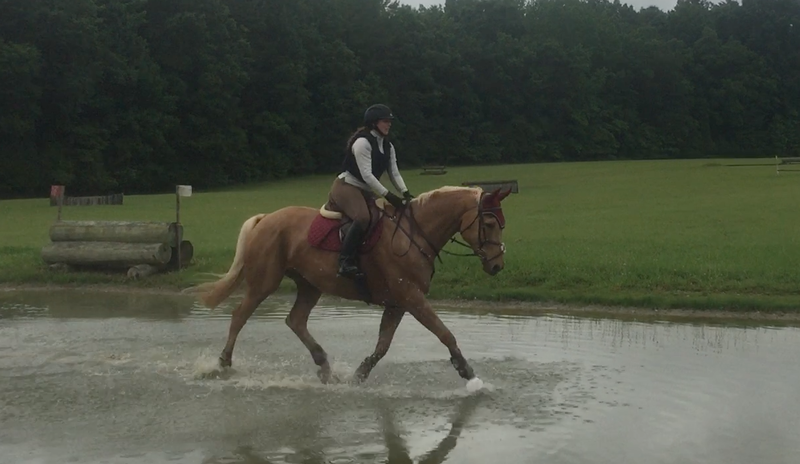 Which surprise, also is a theme in my dressage lessons. Funny how that works! Our next jump lesson will be in the form of a XC schooling day at the Horse Park, and while before I was fairly nervous about the idea, now I am starting to look forward to it! I have been so incredibly grateful to ride TC for the last several months, as he’s taught me a lot about myself, and allowed me to have saddle time while I was technically horseless. Even though I officially own my own pony right now, I’ve continued riding TC with the goal of hopefully competing at another recognized show at the end of July. Between getting to know Jack on the ground and in the saddle, and riding TC, albeit a bit more sporadically, plus of course the adult responsibilities like working a full time job… I admit I may be getting a bit burnt out. What I would love to know is those that have more than one horse to ride- how do you prioritize? How do you keep yourself from eventual exhaustion? Do you feel that something eventually has to give? Or have you found a way to balance multiple rides with the rest of life’s responsibilities? Do you employ professional help? Or have strategies for keeping the rides fresh and exciting? Now that I have been riding the BDH for roughly a month, I have a much better idea of his strengths and weaknesses on the flat. For later comparison, I think it would be interesting to chronicle our starting point together. 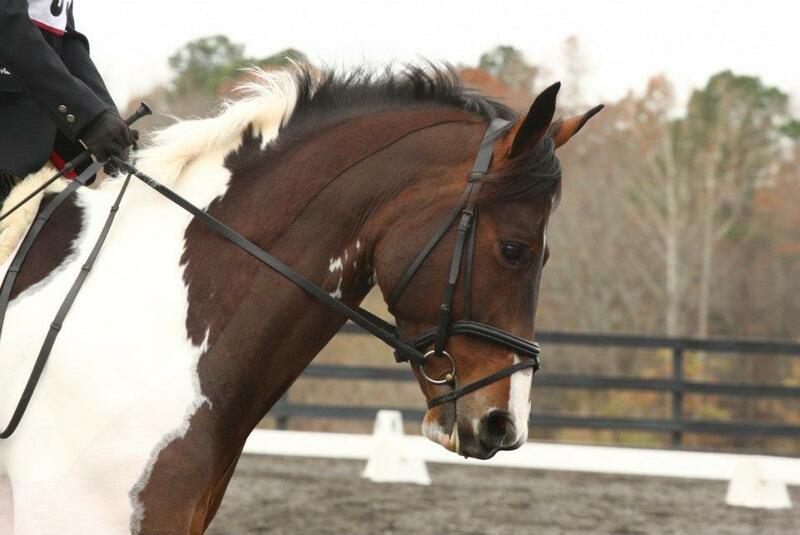 Jack has three quality gaits- i.e, a 4 beat walk, balanced trot, and an engaged 3 beat canter. 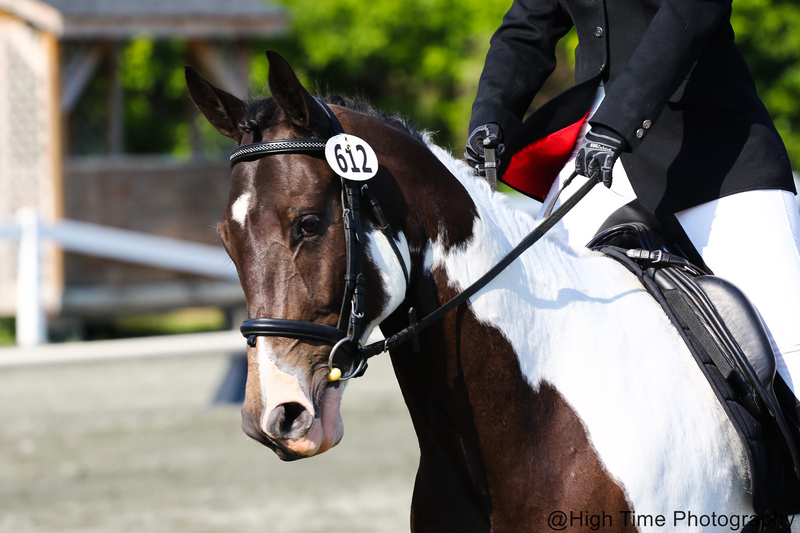 I can’t tell you how many bad canters I saw while shopping, and so this most basic of criteria was actually quite important to me in seeking a dressage partner. Anyways. The best way to document his abilities is by gait. Jack is a fairly forward thinking horse, until it comes to the walk. It’s obvious that the walk is not much more than a ‘break’ to him, and so he’s quite good at moseying in this gait. I am working on reminding him that he’s still working, and over-emphasizing my following hand and getting him forward. When he’s using his neck and actually walking with purpose, he has an 8 walk, but man do you have to work for it at this point in time. Meanwhile, transitions down to the walk tend to have that horrid ‘splat’ quality, so thinking forward into the downward transition is also a point of concentration for us. The trot is probably Jack’s best gait right now. He’s fairly balanced, though tends to lean on the right shoulder in both directions. Our main focus right now is encouraging him to reach out to the bit, but I imagine the trot is going to come along the fastest in the scheme of things. Jack has a good quality canter right now, but man is it green. Those giant shoulders of his are his best bet at balance, and it takes some work to convince him to sit and balance from back-to-front and not the other way around. So while longitudinal and lateral balance are both an issue for him at the moment, we’re focusing most on the lateral balance. The fact that his canter is huge is also a little tricky- it’s easy for his body to just run away with him, and surprise us both. Keeping it organized can be like riding a fine line between breaking into the trot or getting flat, long, and running. All the baby problems, in the body of a 9 year old! I have now officially owned Jack for 2 weeks, and though there is still so much to learn, slowly I am starting to figure out his personality. Here is what I have got down so far, for the uninitiated.